Vocational training can lift a woman out her cycle of poverty, and thus many of the courses at the FEDES Vocational Training School are geared to the empowerment of women. 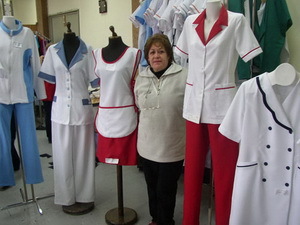 Among the free services offered by FEDES (Fundación Educativa de Desarrollo Economico y Social) is training nurse’s aides, who can then earn a living caring for the elderly, as well as the ill and infirm. This training lays the groundwork for employment in senior citizen’s retirement centers, hospices, or personal residences. 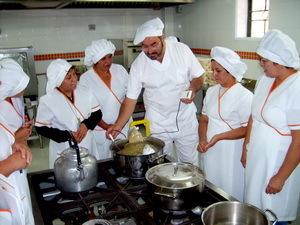 Yet other courses that allow women to better their quality of life, as well as that of their family, are Culinary Arts and Food Processing, as well as Confectionary Services. Another vocational opportunity for women is a tailoring course. This course consists of 180 hours of training in actual tailoring, with an additional 10 hours of business management. After completing their studies, the beneficiaries received a subsidy for the tools of their trade.